If you must sell your house but you owe more than the house is worth, please do not despair. Lenders often let the owner sell the house or an amount short of the payoff. Hence this arrangement is called a “short sale”. The lenders usually require that the house be listed with a Realtor. The short sale is a very complex process and must be done right the first time. It is vital that the seller choose a Realtor who is an expert at obtaining a short sale. I successfully negotiate and close dozens of short sales every year in Louisville, Kentucky. Sellers have called me many times after real estate investors or other Realtors were unable to follow through with the short sale. The truth is, most real estate practitioners are not trained or set up to process short sales. As you search for the Realtor with whom to place your trust, please make sure that the Realtor is (1) Capable, (2) Available, and (3) Cares. e. Better yet – is the Realtor is a teacher? You may have heard the saying “If you want to learn something – teach it”. If your Realtor is a sought after teacher and mentor of short sales, you know you found an expert. a. A successful Realtor has the same 24 hours in a day as anyone else. 24 hours in a day is not enough when handling the extremely time consuming short sale tasks. b. Time can be expanded with staff. Does your Realtor have the staff to handle the multitude of short sale tasks and challenges? c. A loner can’t handle short sales. The constant and repetitive communications with the lender will be a nuisance to a Realtor working alone. d. Having a highly trained short sale staff means that short sales are the core business, not a distraction. e. Systemization – Your Realtor and Realtor’s office must be highly systemized. Systemization creates efficiencies and frees up more time to work on getting the results you need. a. This is not a house business. b. This is not a commission business. c. This is a people business. d. If the Realtor cares, you will know it. And it will make all the difference. e. Check testimonials. Your Realtor should have dozens of testimonials from previous clients. Clients will write glowing testimonials only if they mean it, and only if the Realtor truly cared and touched their lives. 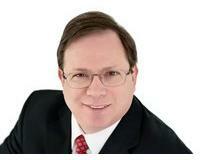 David Halpern is a Real Estate Agent a short sale expert in Louisville, Kentucky. Dave has successfully closed hundreds of short sales in Louisville, Jefferson County, Oldham County, Shelby County, Spencer County, and Bullitt County, Kentucky. Dave has helped many homeowners avoid foreclosure and bankruptcy by skillfully procuring a short sale for them. The seller has zero out of pocket costs. The foreclosing lender pays all closing costs and commissions on behalf of the seller. Many Realtors in the Louisville area refer and outsource their short sales to Dave, due to his extremely high success rate.